Because of various influential factors such as topography, climate and access to sunlight, and evolutionary processes throughout the ages, biodiversity is not equally distributed across the world. There are regions of the earth that are able to support countless life forms, while there also are places that are nearly uninhabitable. A more substantial discussion of ecological regions (biomes) provided here can help you learn more. The Philippines belongs among the countries that are gifted with rich biological diversity. 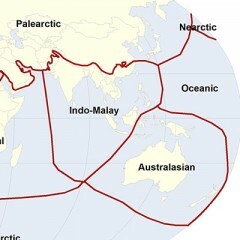 Its archipelagic composition, geographic location (i.e. its proximity to the equator), and tropical climate enable various forms of life and entire ecosystems to flourish across its 7,000-plus islands and hundreds of reefs, further enriching the locales’ natural beauty. Because of this, the country is recognized as one of the most biologically and ecologically diverse in the world – and one with the highest concentration of species per square kilometer, to boot. The Philippines, in fact, ranks second only to Madagascar in terms of having the highest number of endemic species (vertebrates and vascular plants) per unit area of habitat. That the Philippines is home to so many varied flora and fauna species adds even more to its mystique as one of the world’s top megadiversity countries. What is it about the Philippines that enables it to support 70-80% of the entire world’s species? Here are the geographic and ecological characteristics of the country that allow it to support such a varied and well-distributed diversity of species of wild fauna and flora. The Philippines is found in the tropics, where the climate supports a high level of organic productivity to provide the resources needed by interdependent organisms to survive. The Philippines has a highly heterogeneous and complex topography. Philippine ecological locations vary from mountain ranges to coral reefs – and everything in between, providing multitudes of plant and animal species more than adequate space to occupy. The isolation created by separate islands, as well as peaks of mountain ranges support genes-level and species-level diversity. Elevation has an influence on biodiversity. Productivity stressors such as heat and atmospheric pressure decrease while other more life-supporting factors such as humidity and rainfall as elevation increases. Therefore in the Philippines’s rugged topography, one may find a generous offering of biological diversity, especially in the highlands. Udvardy MDF. 1975. A Classification of the Biogeographical Provinces of the World. Occasional Paper of the IUCN Species Survival Commission No. 18. Morges, Switzerland: IUCN. United Nations Environment Programme (UNEP), World Conservation Monitoring Centre (WCMC). 2004. Biogeographic Realms (Generalised) (2004) [Map]. 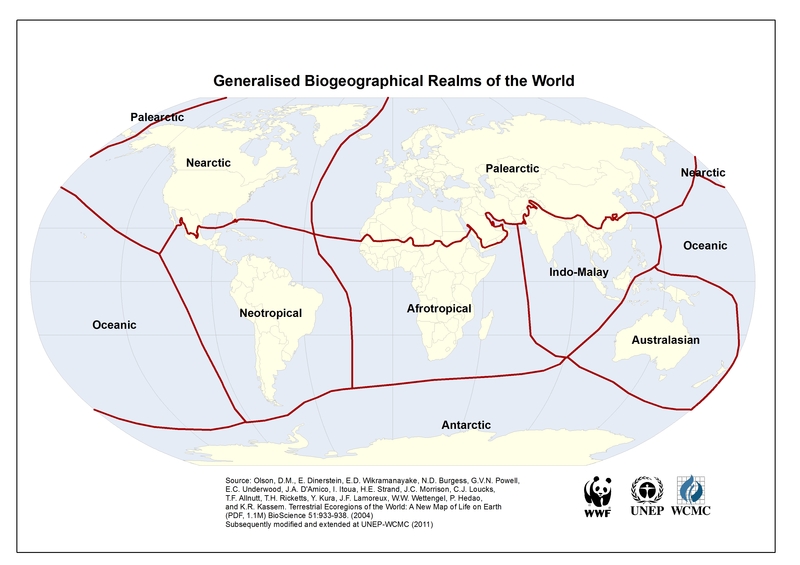 Last accessed on October 25, 2013, http://www.unep-wcmc.org/biogeographic-realms-2004_727.html.